Visit the One Zero One page on BGG. In the world of computer programming, there can only be one winner – either zeros or ones! 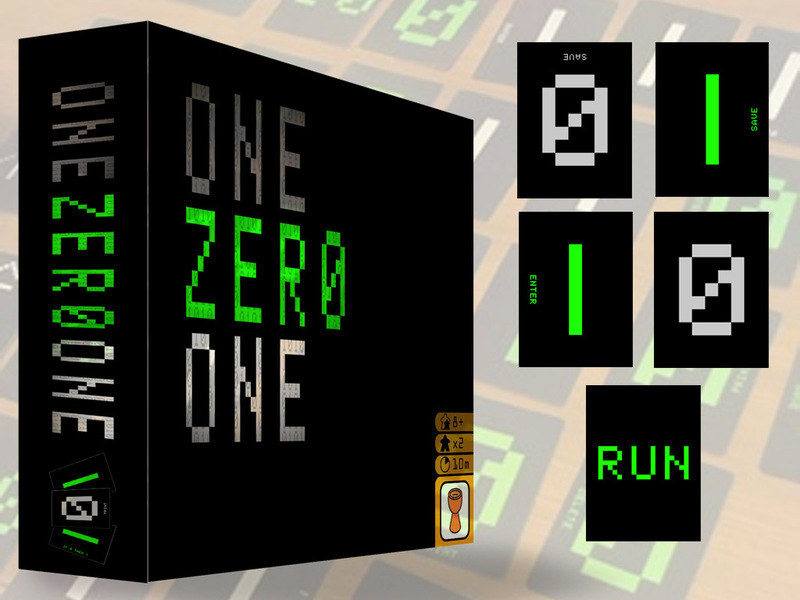 One Zero One is an abstract strategy card game for two players. With identical 16-card decks, each player (as either 0 or 1) plays cards to the program display, endeavouring to gain control of lines of program code. Each line is worth a set number of points. As soon as the program runs, points are tallied and the winner is determined. Most cards display commands which will affect the cards already in play. The order and position of cards played by each opponent will have a huge bearing on the outcome, as will the ability of the players to adjust their strategies as the programming code changes.